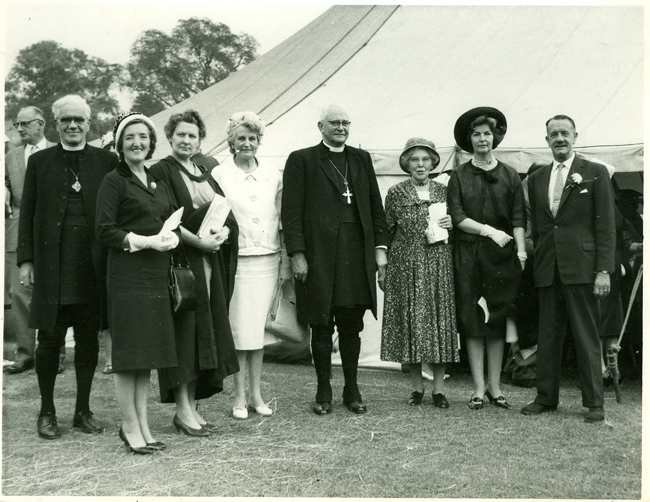 On 6th June, 1959, Miss Flood attended the Inauguration Ceremony of Margaret Flood House and very kindly gave her name – as well as choosing bright red and grey for their House tie. The House consisted of both boarders and day-girls in the forms from Upper III downwards; but in September the day-girls became a House on their own, and are now the junior branch of Fletcher. Margaret Flood House was self-contained in the Junior Wing where they slept in Fox and Willis and made two Air Raid shelters into pleasant sitting-rooms. Miss Flood sadly passed away on 18th April, 1971. In September 1961 the Junior part of Margaret Flood House (Lower III downwards) moved into Willow Dene which was currently the "San". It's interesting to note that, in the 1961 magazine refers to "Willow Dene", whereas, in the 1968 magazine it was down as "Willowdene". In Spring 1963 the Upper III's were moved into Senior Houses, meaning that Margaret Flood House now consisted of Lower III downwards. It was at this time that Pigot House was also formed. Nevertheless, in 1964/65 Margaret Flood was the largest House with 102 girls! Margaret Flood House's tie was red with silver stripes. Photo (right) was kindly supplied by Liz Mumford-Hall (1961-1968). Willowdene, sadly, was pulled down induring the summer holidays of 1990 – photos can be found on the 'Bricks 'n Mortar' page. The nursery children were fenced into their white hut whilst the remainder were accommodated in the hold huts which had previously been used as storerooms. By Christmas 1990 the Infants had moved into the news rooms and the Juniors moved into the rooms vacated by the Infants. After Easter 1991 they all settled into their new school. For enlarged photo and further information please click on the photos below. The following information has been taken from school magazines which we are still working through. In instances where the Head of House or House Captain is listed, but not the House Mistress or Matron, it is simply because the information is incomplete in the relevant magazine. If you are able to supply the missing information please e-mail Liz Donlan.